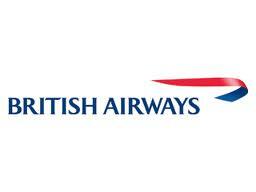 Compensation: Six complimentary return British Airways Club Europe tickets. No doubt you will have been inundated with correspondence of late. I have just returned from a television market in Cannes – and I write on behalf of myself and my five colleagues who I travelled with to Nice on Sunday, 6th April. None of us could have foreseen the subsequent fiasco of the day’s events. We were due to fly out on the BA348 at 15:25 and according to the check-in desk, there were no delays expected. After a hurried lunch (somewhat ironically we did not think we had enough time for a sit-down meal), the departure board informed us that the flight was delayed to 19:00. The first blow, although comparatively minor to what was yet to come. When I asked your staff in the business lounge for an explanation “only one runway working in Lisbon”, “air-crew rotation” and “the weather” were blamed by turns. Apparently there was also not enough provision for de-icing the aircraft. With a mere five to ten millimetres of snow – and most of that melted by midday, our friends in colder climes (where they really do have extremities of weather to contend with) must think this a joke. And with the British propensity to blame the weather for all manner of things, I cannot believe British Airways does not have the foresight to have a back-up crew. After four hours, my colleagues and I were directed to the gate where we continued to wait patiently until 19:45, when a voice on the Tannoy imparted the bad news of our flight being cancelled. Mayhem ensued. A heart palpitation-inducing cocktail of forty-five minutes until the next flight at 20:30, having to reclaim our baggage and re-check in – not to mention the fight to obtain a standby ticket amid everyone else on the cancelled flight all keen to attend the television market in Cannes. There was a touch of Dante’s Inferno about the baggage hall. Stifling heat, and there was the anarchic dumping of baggage from two other cancelled flights – not on a conveyor belt, I hasten to add, but on the floor. It took us a while to realise that our baggage was still being unloaded and so there was the disturbing prospect of rummaging through floor-strewn suitcases which all looked the same. And of course, time was running out. My luggage was the last off the conveyor belt, and after a gut-crippling sprint with my suitcase, I rejoined my colleagues and the other passengers from the cancelled flight in the cattle market that was the check-in desk. Lucky for us, we managed to obtain the final six standby tickets. But all the while was the nagging doubt that this flight could well be cancelled too. As it happens, the flight was not cancelled – but there was the matter of crew, plane and captain. This second flight was delayed until midnight because the crew, plane and finally the captain, went missing in succession. Eventually (and having lost all confidence in British Airways) we landed in Nice – and one would have thought the problems would end there. Unfortunately, due to our extremely late arrival, the taxis booked to take us to our hotels had given up and we had to wait another two hours for a cab. Once in Cannes, there followed another bartering session, this time with the hotel reception at 4 am – who, because of the tardy check-in, wanted to release our hotel rooms. In fact, when I eventually got to my hotel room, there was a stranger sleeping in my bed. This is nothing short of appalling. I feel so disturbed by what happened I cannot find the words. I expect a full refund for all our flights at the very least. Thank you for your letter of 11 April 2008. The time you have taken to write to me in such detail demonstrates just how strongly you feel about the way you were treated on your journey to Nice. Clearly, you had a frustrating and tiring start to your journey and I can make no excuse for the poor impression we have left you and your colleagues with. Please accept my sincere apologies. I fully understand your disappointment at being told your flight was cancelled – this was certainly not a good start to such an important trip. The initial delay was due to bad weather. The resulting disruptions meant many of our cabin crew and flight crew were out of position. This left us with no alternative but to cancel your flight. To have to collect your baggage and return to check-in must have been extremely frustrating. Arriving in Nice so late to find your taxi had not waited must have felt like the final straw. I am sorry for the distress this obviously caused you. You are a valuable customer and I recognise we have let you, and your colleagues, down. With this in mind, I would like to offer each of you a complimentary ticket in our Club Europe cabin. My Executive Assistant will send you details of how to book these. Customer satisfaction is my absolute priority and I am committed to getting all aspects of our service right. I very much hope we are able to restore your confidence in us – and soon.